Decatur, Ala. – Historic downtown Florence is the place to be for fun the first Friday of each month from March to December. 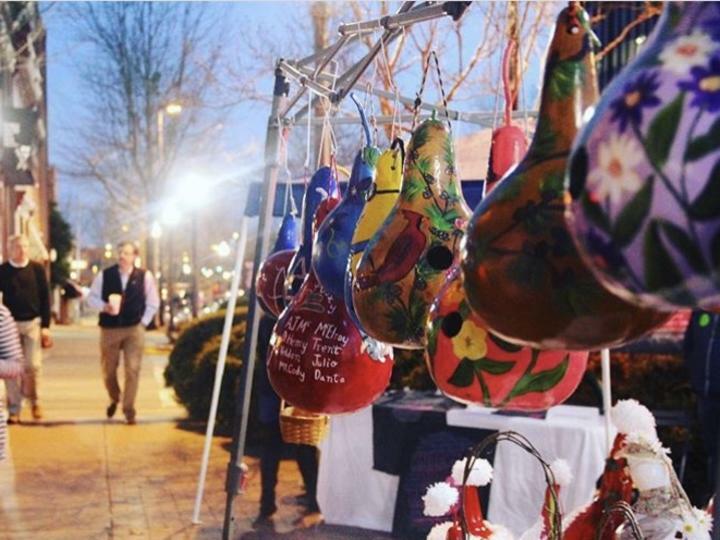 A free family-friendly event, First Fridays Downtown Florence returns to the streets in 2019 beginning March 1st and each month, festivalgoers are treated to an evening of local arts, crafts, shopping, live music and more. First Fridays Downtown Florence is now entering its 14th year of bringing together people of all ages for a music, art and cultural celebration. In 2019, festivalgoers can expect to see some of their favorites, including the pumpkin drop in the fall in the center of Court Street and Mobile Plaza and the popular antique and vintage car shows. This year will also have special events and themes to correspond with the state of Alabama’s Bicentennial Celebration. For the March 1st event, festivalgoers can expect dozens of vendors, including jewelry makers, woodcrafters and clothing designers, to line Court Street while music fills the air from performers on the Big River Broadcasting Stage on Mobile Plaza. Downtown Florence is home to eclectic shops, restaurants, parks and entertainment venues all within a short walking distance of each other that festivalgoers can also experience. Hours are 5 to 8 p.m. and admission is free. The event takes place rain or shine. Parking is available on surrounding streets and in the City of Florence public parking garage (behind Ricatoni’s Restaurant). Presented by Listerhill Credit Union, First Fridays is a committee of Downtown Florence Alliance and takes place the first Friday of every month beginning in March through December. For more information, visit www.FirstFridaysFlorence.org or contact Haley Brink at 256.383.9204 ext 1231.